Anya’s journey to protecting and conserving fishing cats was anything but linear. She worked with a wide range of species before she began her work with this little known (but no less charming) small wild cat. Today, she is making a name for herself as a conservationist and a tireless champion in the world of small wild cats—character traits that are needed for these small cats who often get far less attention that their charismatic bigger cousins, like lions and tigers. Growing up in Sri Lanka, Anya’s foray into wildlife began with her uncle, who worked for the World Wildlife Fund (WWF). This gave her intimate access to the region’s most pristine wild places and provided her with first-hand knowledge of the conservation issues that field based conservationists had to combat. She received her formal education at the University of Queensland, Australia, and in 2011, she interned for WWF Nepal, where she worked with the first team to collar and translocate a Bengal tiger. Here, she also received training on the captive management of gharials, and participated in the collaring operation of the greater one-horned rhinoceros. She was also part of a select group of students who travelled to South Africa to compare and contrast issues between the two regions relating to wildlife and their natural habitat. After graduation, she started out her career as a researcher for the Sri Lankan leopard, her country’s most iconic species; but a chance meeting with a mysterious cat changed everything. One day a friend— who auspiciously happened to be a veterinarian—gave her an orphaned fishing cat to hand rear. For Anya, it was love at first sight. From the little she knew about this species, she learned that they showed up all around the country’s capital of Colombo, mostly in and around wetlands, which is where they live and feed. As the city’s wetlands shrink each year, Anya wants to make sure that these cats are protected and preserved for future generations. 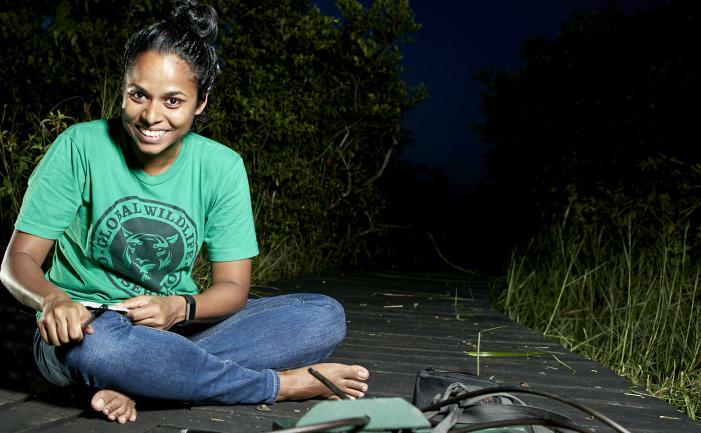 She founded the Urban Fishing Cat Conservation Project in 2013 and, as part of her research, became the first researcher in the world to collar and track fishing cats using GPS. 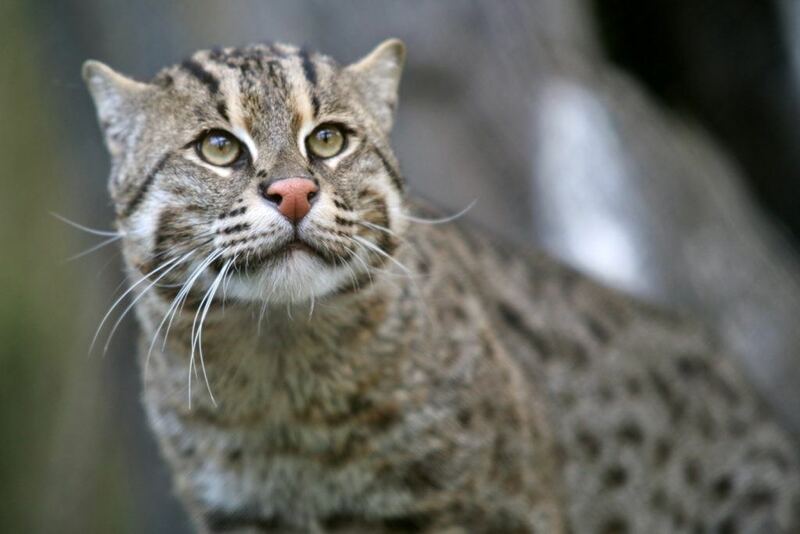 This data is already shedding new light on the behavior patterns of translocated and resident fishing cats in an urban habitat. In the past year, Anya and fellow WCN scholar Ashan Thudugala founded Sri-Lanka based Small Cat Research and Advocacy (SCAR), which focuses on the country’s three small cat species—fishing cat, rusty-spotted cat, and the jungle cat. They hope to make SCAR an umbrella organization for small cat research and awareness in Sri Lanka. By doing this, they hope to be a clear and unified voice for the small cat community when speaking to stakeholders such as the Department of Wildlife Conservation, the Urban Development authority, and other government organizations. Anya is also a Global Wildlife Conservation Associate Conservation Scientist as of this year. We are honored to be supporting Anya as she works tirelessly to spotlight the often-overlooked small cat species of the world.